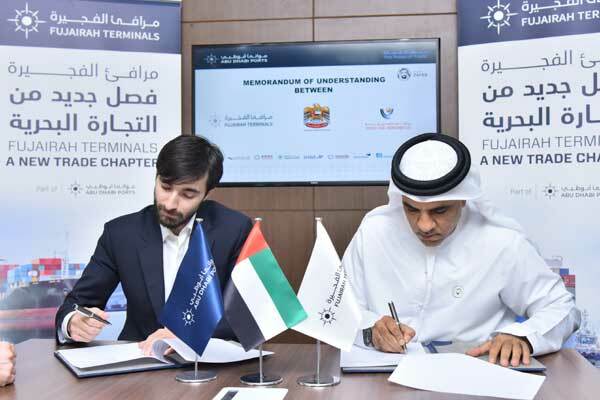 The agreement supports the handling of the company’s import and export shipments through Port of Fujairah and means that Fujairah Terminals will facilitate all required logistics support for the company, said a statement from the firm. The MoU was signed by Ahmed Al Mutawa, chief executive officer of Fujairah Terminals, and Mamed Magomadov, partner at United Steel Industries. The partnership enables USI to benefit from the Fujairah Terminals’ strategic location and platform to efficiently access the region, it added. “The MoU portrays our organisation’s competitive advantage and will provide USI with increased time efficiencies and immense cost reductions. We look forward to continue solidifying our position within the UAE’s strategic expansion into markets in the Indian sub-continent and East Africa,” he added. Through Fujairah Terminals, Abu Dhabi Ports is enhancing existing infra and super structure; in addition to managing all container, general cargo, roll-on-roll-off (RoRo) and cruise ships in the port.